DESCRIPTION Located on a quiet street in idyllic Garrison Green, this OVERSIZED DETACHED home is a rare treat for families! W/ over 2,250 sf AG, it is substantially larger than most detached homes in the area & features 5 LARGE BEDS + a developed basement finished w/ all required permits. W/ modern upgrades like central A/C, all window coverings & a central vac system included, this home is as good as new. Main floor features 9-ft ceilings, solid hwd floors & sizeable living spaces including a living room w/ gas fireplace, open dining room, beautiful kitchen w/ granite counters, S/S appliances, breakfast bar & pantry, private den & mudroom. Laundry room + 3 beds up including the enormous master suite w/ 3 CLOSETS & 5-pc ensuite w/ heated floors. The FULLY-DEVELOPED basement includes a rec room w/ fireplace, 2 beds, 3-pc bath w/ heated floors & room for games area. Oversized double detached garage insulated & drywalled. Quiet street around the corner to parks & playgrounds. NOW LISTED BELOW ASSESSED VALUE! Home for sale at 5546 Henwood ST Sw Calgary, Alberts T3E 6Z3. 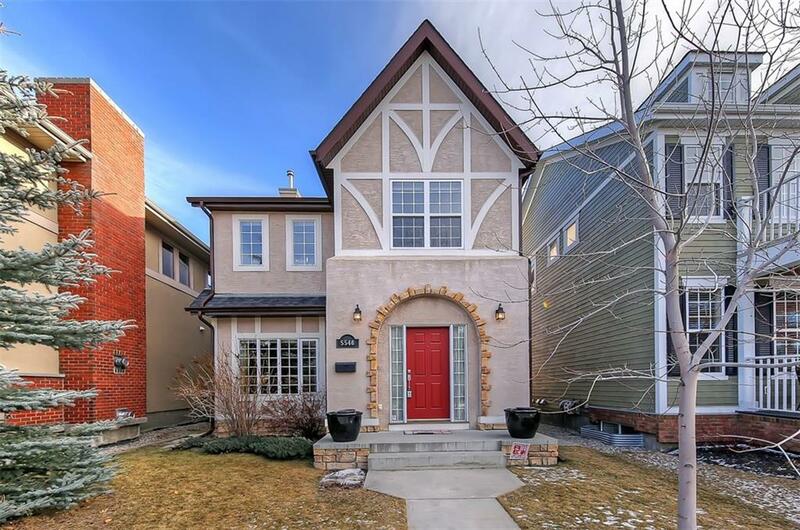 Description: The home at 5546 Henwood ST Sw Calgary, Alberta T3E 6Z3 with the MLS® Number C4225334 is currently listed at $779,900.